Twitter users accused Ivanka Trump of wearing white to her brother Donald Trump, Jr.’s wedding. A closer look at other photos reveal that she was not wearing white, but the bride’s sister was. Vanessa filed for divorce from Trump, Jr. on Thursday, Page Six reported. Photos from Vanessa and Donald Trump, Jr.’s wedding in 2005 blew up on Twitter Thursday, and people are accusing his sister, White House adviser Ivanka Trump, of wearing white. 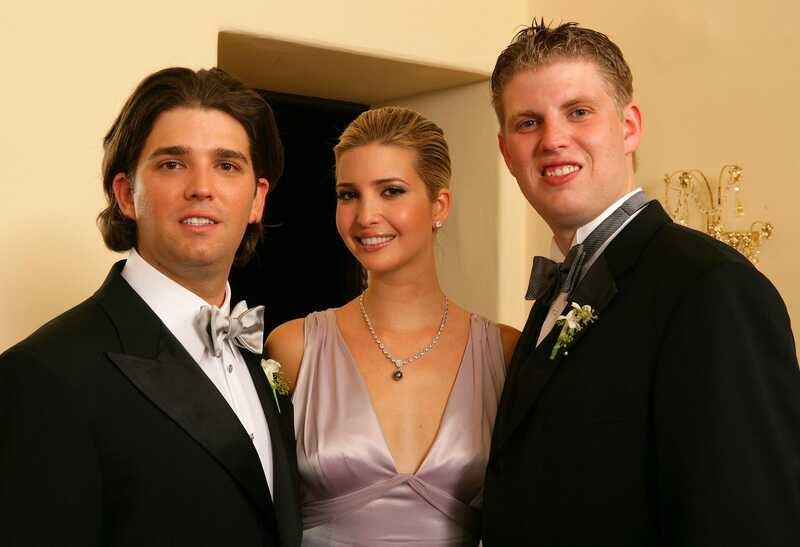 A washed out photo of Ivanka and her two brothers at the wedding has been making the rounds on Twitter, where people were mostly making fun of how unflattering the photo was. Comedy writer Siobhan Thompson upped the drama further when she pointed out that it looked like Ivanka’s dress was white. “Look I know we all know that the Trump family ain’t classy, but also CHECK OUT IVANKA STRAIGHT-UP WEARING WHITE AT SOMEONE ELSE’S WEDDING,” Thompson tweeted. The other photos from the event show that the bridesmaids were all wearing the same dress as Ivanka. But a photo of the bridal party reveals that the bride’s sister, Veronika Haydon, was wearing a white dress. Unfortunately for the bride and groom, 13 years after their wedding, Vanessa filed for divorce from Trump, Jr. on Thursday,Page Six reported.